When I look in the mirror, I don't always like what I see. I see those dark circles under my eyes along with those fine lines. Some days I even see bags and puffiness. The joys of getting older. Not getting enough sleep does not help my eyes either. So what I am suppose to do when I don't like what I see in the mirror? I could complain or I could use a wonderful eye treatment to help my eyes look better. I decided to try VIIcode O2M Oxygen Eye Mask to help my eyes look better. This spa like treatment provides 8 hours of night care for you eyes. The treatment is very easy to use. You simply place these eye pads on your eyes and enjoy a cooling treatment that helps to repair the skin under your eyes. You can wear them to bed or,if you are brave like me, during the day if you work at home. The Fed Ex guy most likely got a good laugh when I answered the door while I was wearing these. So what are these things under my eyes? These are professional eye masks that contain a gel made from Ecological Oxygen Plant Extraction(EOPE) which are natural ingredients to help repair the skin under the eyes. These ingredients help improve vitality and elasticity while soothing those fine lines. I love that these masks moisturize the eye area to prevent premature aging. They are safe for all skin types and do not contain Parabens, Sulfates, or Alcohol. 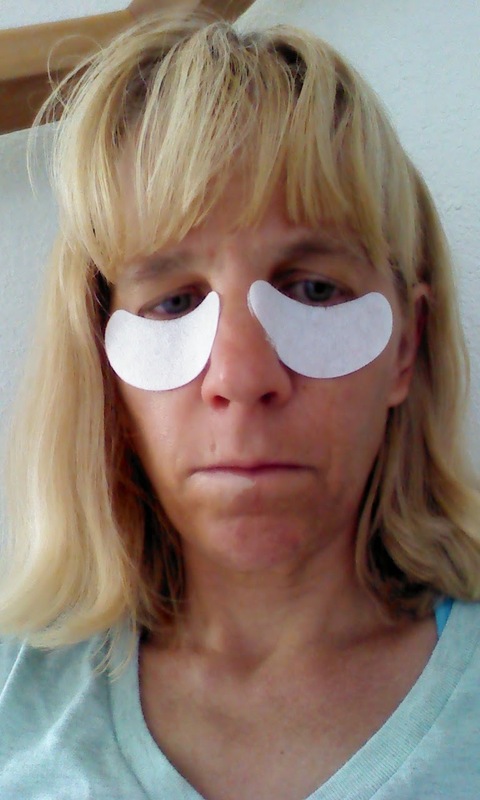 When I first applied the eye masks, I felt a cooling sensation that felt good on my tired eyes. You can store these in the fridge for even more cooling power. The masks did not irate my skin and they stayed in place while I worked on the computer. The next day I wore a pair to bed and they stayed on as I slept as they were still in place the next morning. The skin under my eyes felt softer when I woke up. The instructions say to use them 2-3 times a week and it may take 3 boxes to see the most effective results. I would rather use a natural product for a gradual effect than a chemical one that may damage my skin. 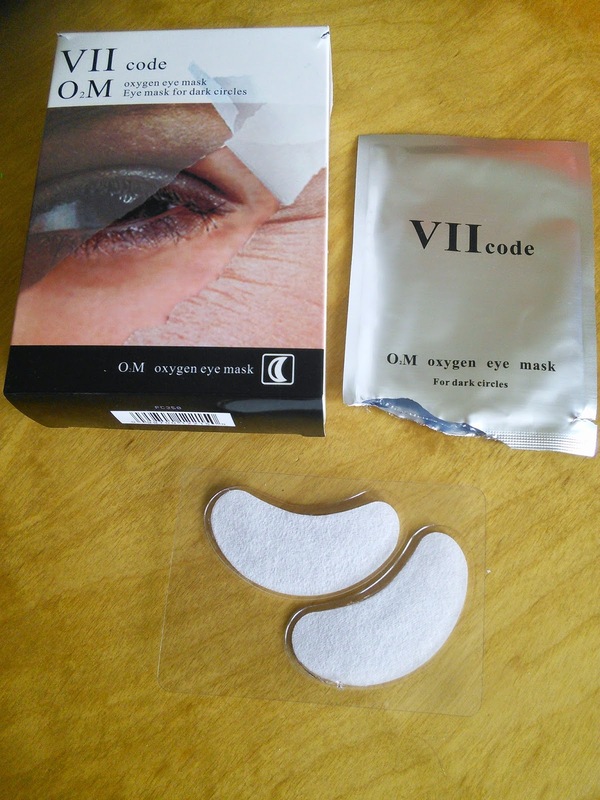 The VIIcode O2M Oxygen Eye Mask product comes in a box of six pairs of eye masks. Each pair of eye masks are individually package in a tray in a seal envelope. They are available on Amazon. To purchase a box, visit the below link. So pamper your eyes with VIIcode O2M Oxygen Eye Mask. Try these eye masks to awaken the skin cells under your eyes to help fade those dark circles, firm the skin and reduce puffiness. "These opinions are my own and I was sent the above mentioned product in exchange for this review." I need this, I have dark circles! Love that it is natural and it is amazing to me that your skin already felt softer. i would curious to see how it works after a longer time! I get dark circles every time I have horrible allergies. Ill have to check these out. Ive had dark circles under my eyes for ages, this is great! I have puffy eyes from lack of sleep sometimes. These just might work for me. You're awesome to give us a live view of what we would look like wearing a pair of these! Not too bad! Thanks! These sound great for the dark circles that I see every morning! Sounds like a good product. I haven't been sleeping well so have quite a few circles under my eyes. Would love to try this. I need these during allergy season. My eyes look terrible somedays. I'm always looking for eye products that reduce my swelling and bags. I'm definitely going to try these out! every time I get my haircut I can see those dark circles, must be the bright lights in the salon or I am just sitting long enough to notice. looks like a good fix for eyes. Getting older is super scary! This looks like an awesome product to keep the dark eye circles away! Oral Health for Kids #2min2x Plus $100 Giveaway!